Why would I need self storage in Lynnwood, WA? There are a variety of reasons why you might need self-storage in Lynnwood, WA. How much is a storage unit in Lynnwood, WA? The cheapest storage unit in Lynnwood, WA is $30.00 per month. What size storage units do you have available in Lynnwood, WA? In Lynnwood, WA we have sizes that range from 4'x4' to 20'x30' to suit your storage needs. How much is it for a 4'x4' storage unit in Lynnwood, WA? The cheapest 4'x4' storage unit in Lynnwood, WA is $55.00 per month. Lynnwood is a part of Washington's Seattle-Bellevue-Everett metro area and is just a short trip from the heart of Downtown Seattle. Before European settlement, the area now called Lynnwood was a favorite summer retreat of the Snohomish Native American tribe. In the late 1800s, settlers arrived to work in the area's blossoming logging and mining industries. After several decades as a small farming development, Lynnwood became an independent community when it was named after Lynn Oburn, who was married to one of the town's developers. The township attracted new residents during the suburban boom of the 1940s and became officially incorporated in 1959. This Seattle suburb has experienced strong population growth due to its excellent shopping, low unemployment and positive job growth. You'll find a mix of blue-collar and white-collar jobs that cater to people of all interests and qualifications, including opportunities in the sales, food service, and office and administrative support industries. Two local malls, James Village Shopping Center and the Lynnwood Shopping Center, also provide a number of job options for retail workers. You also have the option of commuting to nearby cities and suburbs for work, especially downtown Seattle. Public transit and a network of highways make this an extremely convenient and popular option. In Lynnwood, historic preservation is a major focus of the local community. You'll find that the city contains a number of notable historic sites, including the Wickers Building, a 1919 Tudor-style building. If you're a nature lover, Scriber and Hall lakes offer a scenic retreat in the city. The small-town, community-oriented feel of Lynnwood is represented in a number of special events, including the Beaux Arts Celebration that takes place every October. Lynnwood's schools are overseen by the Edmonds School District and include elementary, K-8, middle and high schools. You also have the option of enrolling your children in one of Lynnwood's local private schools, including both secular and religious institutions. The city is home to two post-secondary schools: Edmonds Community College, offering a range of two-year degree programs, and the Lynnwood campus of Central Washington University, where you can pursue a four-year degree. Utilities: In Lynnwood, Snohomish County Public Utility District provides power, and Puget Sound Energy manages natural gas. The city of Lynnwood is the city's water provider, and it also administers both sewer and water treatment services. Garbage and Recycling: Waste Management and Republic Services facilitates weekly curbside collection of both trash and recyclables. You can also request separate services for yard waste and food waste disposal. Transportation: Lynnwood provides intercity transit via Community Transit, which operates several bus routes in the city. Nearby Seattle is also easily accessible on a variety of local routes, including commuter service and Swift rapid transit. A light-rail route connecting Lynnwood, Downtown Seattle and the Bellevue area is currently in progress as well. Lynnwood has a mix of single-family homes and multifamily residences, including apartments, townhouses and condominiums. Properties are more expensive than the national average but not dramatically above the median price for Washington State. Our lowest priced units in Lynnwood, WA average $55.29 per month. 919 people have reserved units in Lynnwood, WA in the past 30 days. 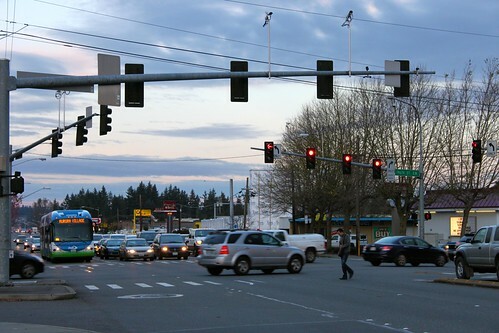 There are 17 locations within Lynnwood, WA's city limits. There are 4 locations in Lynnwood, WA that offer AC and Heating features.